Updos to Beat the Heat! Greetings, Blossoms! I have been doing a little running around lately and have missed you all! I am back with some new info and hair pictures! This summer, this elegant cornrowed updo has been quite a popular request! Cornrowing and flat twisting are some of my favorite styles to execute so I always look forward to doing this type of style! 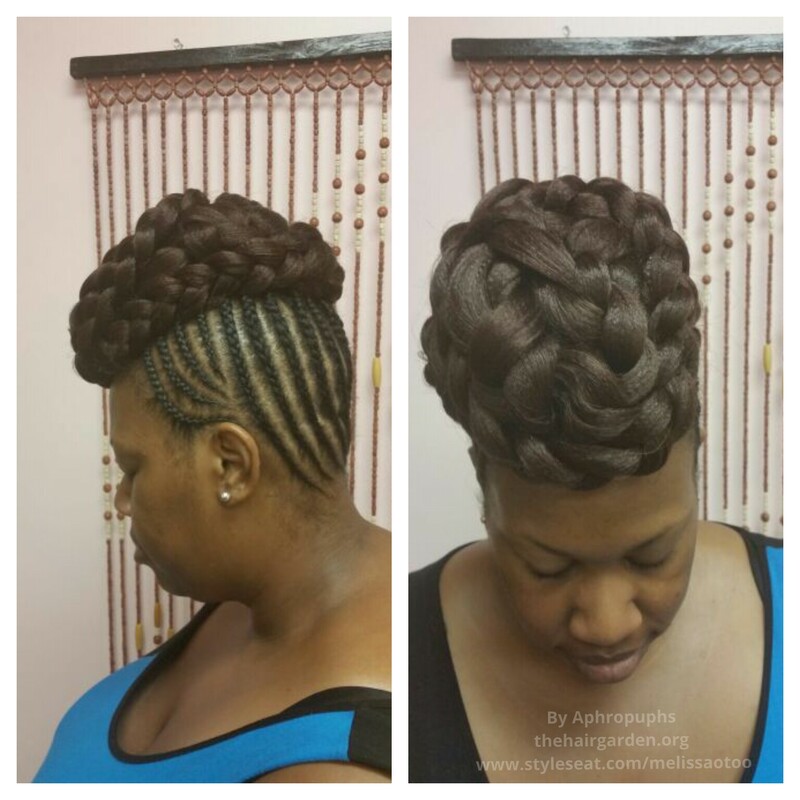 This style was cornrowed and 2 packs of X-pression kanekalon hair (color #30) was used for the bun up top! The hair was twisted and pinned to create the look. 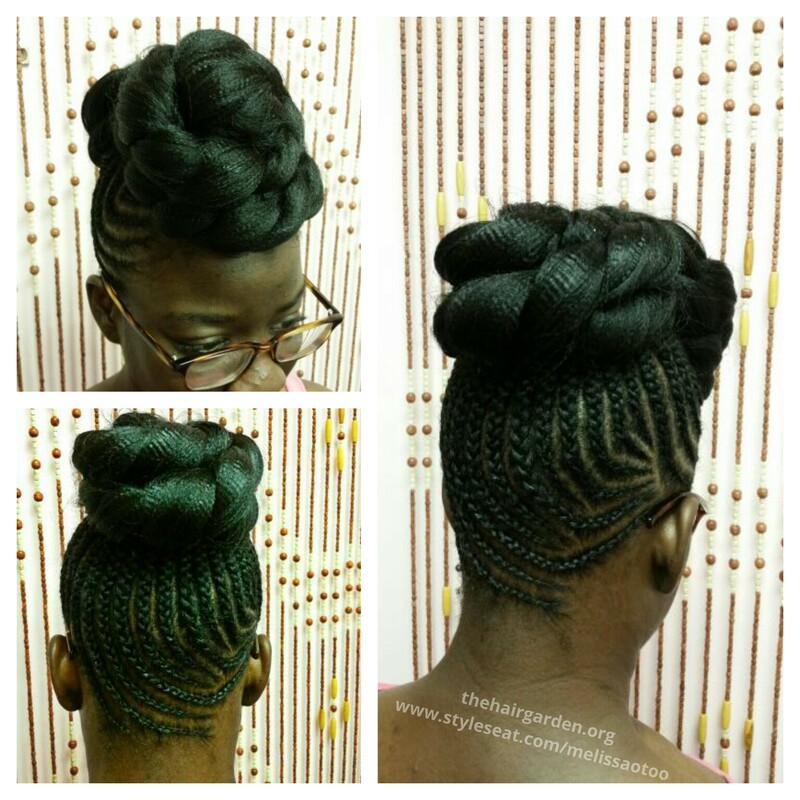 This bun was done with 2 packs of X-pression kanekalon braiding hair (#1B). The hair was loosely braided and pinned at the crown to create this look. 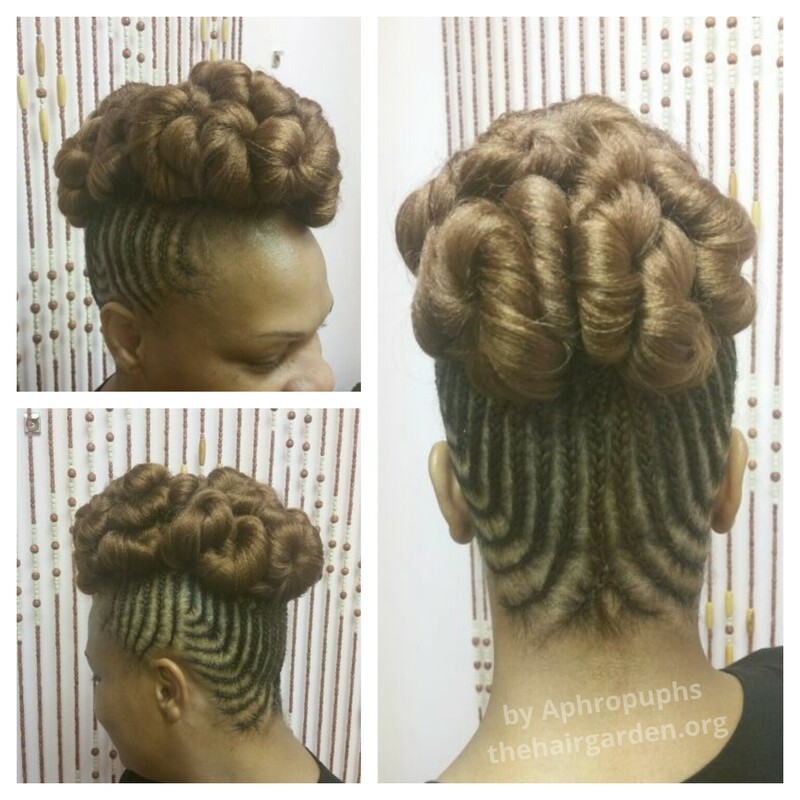 This cornrowed updo used 2 packs of X-pression braiding hair (color #33) above. The hair was braided into small braids and pinned up. This type of style can last 2-3 weeks. I typically only wear this style for about 5-7 days because I absolutely HAVE to cleanse my scalp by then. The look is maintained by applying a light oil to the scalp as needed and tying the hair up while sleeping or during any activity like working out. Got any questions? Feel free to ask below! Book me at http://www.styleseat.com/melissaotoo! 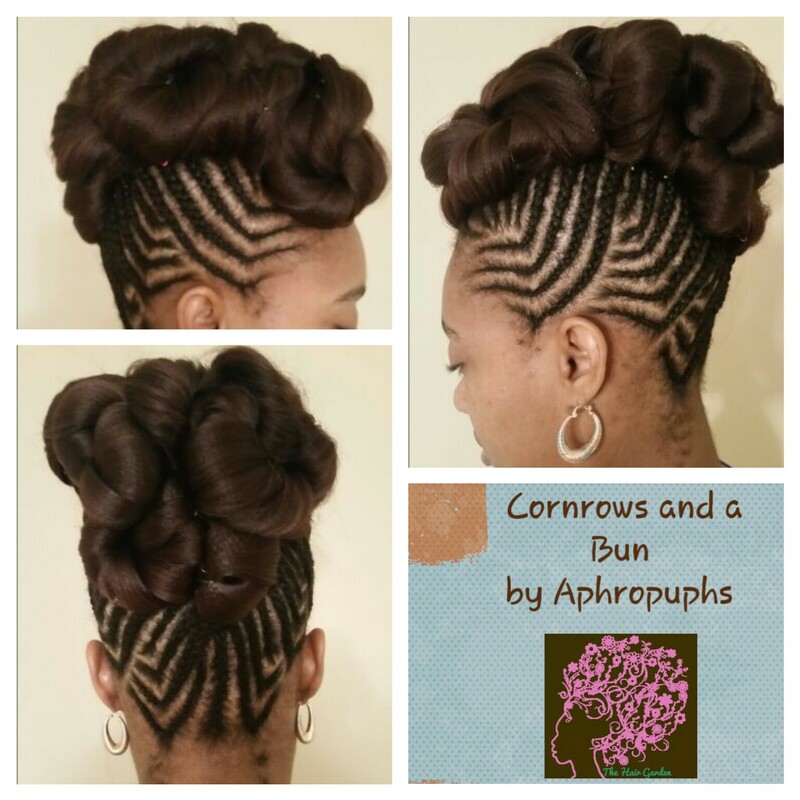 Author AphropuphsPosted on August 15, 2015 Categories Hair Care, Natural HairstylesTags cornrow updo, cornrows, natural hair, natural hair conyers ga, natural hair for weddings, natural hair styles, professional natural hair styles, protecive styles for natural hair, the hair garden1 Comment on Updos to Beat the Heat!